Sylvia Plath Trivia - Answers! On the 16th of June (Bloomsday and Plath's anniversary), I posted a trivia quiz which, sadly, went unanswered. Therefore, the $2 (£1.00270, €1.26984) cash prize goes to me. 1) Between the Fall of 1948 and August 1949, how many boys did Sylvia Plath date? Answer: The answer to question 1 is C, 21. In Plath's 1949 journal, held at the Lilly Library, Plath lists all her dates for posterity. The 1949 journal is the first of its kind; her private thoughts and writing prior to this being more diary-like. Do you know what I mean in differentiating them? For those who have read Plath's early diaries, you will. The 1949 writing seems more sophisticated and and deeper. This is when Plath wrote her now famous statement: "I think I would like to call myself 'the girl that wanted to be God.'" Prior to Sylvia Plath's breakdown and suicide attempt in 1953 and the subsequent therapy - which continued in person through 1959 - she had a decent opinion about her childhood? Please support your answer with a compelling statement or argument. Answer: The answer two question 2 is far more subjective. But I think the answer would be true, Plath did have a good opinion of her childhood prior to the bad effects of psychotherapy. Plath's later poetry really does turn against her parents; but is it necessarily justified? A full examination of Plath's life is necessary, but I encourage readers to not ignore the materials from Plath's childhood. Taken in the context of her life during the time, I think the young Sylvia Plath coped quite well with being fatherless. She had a mother, brother, and grandparents in close proximity to her who always, always gave her the love and attention she needed. I think the therapy Plath underwent through the 1950s did more to distort the truth than to reveal it. Again, it would benefit your opinion on the matter if you've read through Plath's 1940s era letters, journals, and scrapbooks. This was the World War II era, so times were tough...there was rationing, and this was a period when women routinely had to work as the men were off fighting. And as for Otto being a controlling, domineering figure in Plath's life - I suspect this may be a usurpation (à la "The Disquieting Muses") of another's feelings and experiences. Once Plath was old enough for walking, talking, and then writing, Otto Plath was far too ill, I think, to have been such a figure as is previously portrayed. But, if we remember, Aurelia Plath did much of the research and organization for Otto Plath's Bumbleebees and Their Ways and was barely acknowledged for her effort. I suspect Aurelia Plath may have harbored anger and frustration towards Otto, but the young Sylvia did appear to love and admire the man. There is more so say on the subject; if anyone else would care to weigh in (anonymously or not). Sylvia Plath entered - and tied for first place - the Kathryn Irene Glascock Poetry Contest in April 1955. Her poems were judged by Marianne Moore, John Ciardi, and Wallace Fowlie. Of all the contestants that year, Lynne Lawner appears to be the only other other poet who has made a name for herself. Later, Plath was herself a judge of the Glascock in 1959! 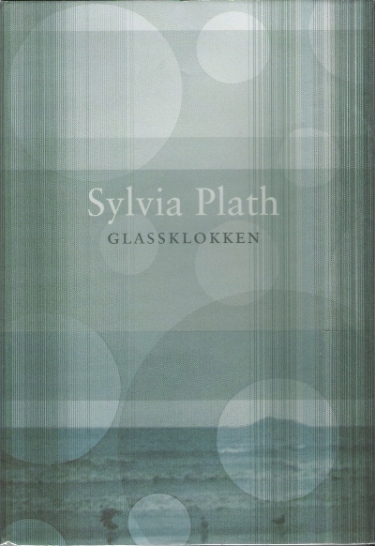 The translated title of Plath's novel The Bell Jar into German (Die Glasglocke), Norwegian (Glasklokken), and Swedish (Glaskupan) all sound and look like Glascock. Nothing important there, I don't think, just something perhaps interesting. Geoffrey Brock's poem "Daddy: 1933" appears in the current Poetry (June 2008). The bulk of the poem comes from Otto Emil Plath's classic treatise, Bumblebees and Their Ways (New York: MacMillan, 1934). The Glen Falls Post Star recently ran an article on Yaddo which mentioned Plath and a few of the poems she wrote about the writer's colony ("The Manor Garden," "The Burnt-Out Spa" and "Yaddo: The Grand Manor"). The New York Times asked critic and author Katha Pollitt Stray Questions. Pollitt & Plath frequently appear together in The New York Times. The National Post (Canada) has an article ("The Book of revelation" ) in which writers discuss beloved novels that have inspired or informed their own works. 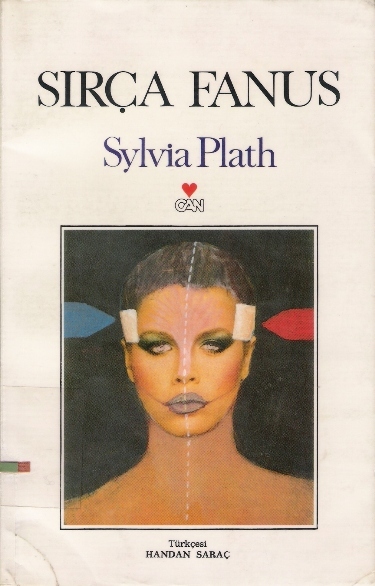 Ibi Kaslik's is Plath's The Bell Jar. Kaslik's comments on the novel are interesting. The childhood home of Ted Hughes at Number one Aspinal Street, in Mytholmroyd, England, is featured in The Yorkshire Post. The house was recently renovated into a writer's retreat and a holiday home. Literary luminaries such as Simon Armitage, Andrew Motion, and Frieda Hughes will be on-site for the opening. A few updates to note for my website for Sylvia Plath, A celebration, this is. 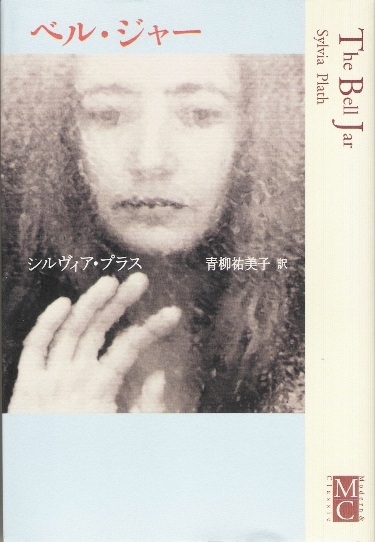 Two book covers of translations of The Bell Jar are now on the website. A Turkish edition (Sirça fanus) and a Japanese edition (Beru jā)! Many people are interested in Plath Profiles. I know I am! The webpage is not complete, but if you're interested in seeing it, please click here! Look for the first Volume to be online sometime in mid-to-late July or early August. The link on the left hand side of the page to Volume 1 won't work, so please don't click it. If anyone does find out the secret link name, kudos! But, visible for all now is a listed of the esteemed Editorial Board, Submission Guidelines, and a list of support staff. The site is restricted from being cached by search engines, so the link above is just about the only way you'll find it for a while. After a brief three day research visit to the Sylvia Plath mss. housed at the Lilly Library in Bloomington, Indiana, I learned, or re-learned, some things about Sylvia Plath. Please post your answers and opinions to the Comments feature available! I'll post my answers/opinions later this week I hope! At the Lilly Library, Sylvia Plath is one of the Queen's. I am here to do research, but also to meet with Bill Buckley and Kathleen Connors regarding Plath Profiles. The issue is almost fully assembled, and the website is still being developed. Hopefully after some meetings and a few days time, there will be a better sense of when it might be unleashed/unveiled to you! 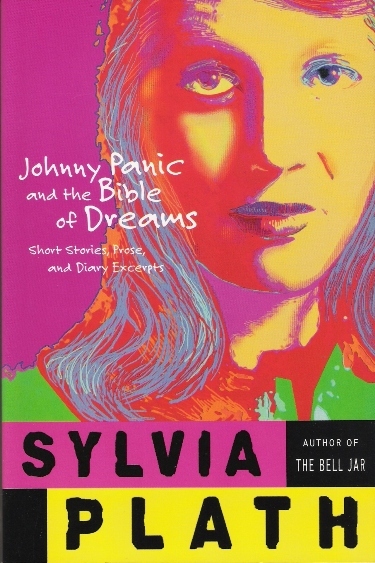 The new book cover for Plath's Johnny Panic and the Bible of Dreams appeared on Amazon.com recently. It is a much nicer looking cover than their year 2000 offering. Y2K! This new re-issue of Johnny Panic is scheduled to be published on 12 August, along with a re-issue of The Collected Poems. Faber re-issued The Colossus on 3 April 2008. And, this is as good a time as any to re-list other 2008 publications. We were teased and disappointed last year when Linda Wagner-Martin's Sylvia Plath's Poetry was listed but not released. This will be issued by Continuum International Publishing Group, hopefully, on 7 August. Jo Gill is the editor of The Cambridge Introduction to Sylvia Plath; which is different than the Cambridge Companion to Sylvia Plath, which was published in 2005. If you do not have the Cambridge Companion please treat yourself; it is a wonderful collection of original essays by leading scholars. The Cambridge Introduction to Sylvia Plath is scheduled to be published in September 2008. And, we'll have to wait until October for Raychel Haugrud Reiff's Sylvia Plath: The Bell Jar and Poems (Writers and Their Works). This appears to be a "library book"; so please keep an eye out for it on WorldCat. I apologize to those of you who clicked on the link to the Sylvia Plath materials at the Lilly Library and received an error page. The suffix changed from .html to .shtml. So, it is updated. I just finished Lady Lazarus by Andrew Foster Altschul. It is a very well written and intelligent book. At a minimum, make sure you know your famous dead poets and have some inkling of celebrity goings-on. And, even if you are not up on celebrity news - perhaps it might be better if you are not - there is still much to love and enjoy in this novel. As the title suggests, there is a Plathian vibe through. Altschul borrows and adapts Plath, amongst others (T.S. Eliot, Dylan Thomas, Anne Sexton, etc.) While this is creative (and he is responsible enough to attribute such instances where lines, themes, etc. 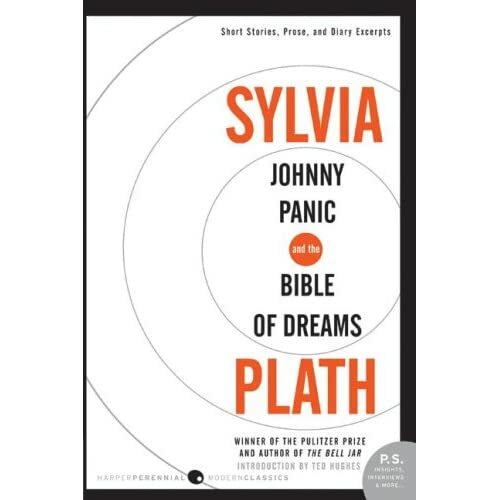 were borrowed), I found the references to Plath's story in some ways to be weaker than his more original narrative. And certainly weaker than his dialogue, satire and critique of the sad obsessive ways in which we, the people, are fascinated by and feed off of celebrity lifestyles and gossip (including children who have fallen into wells). The weakness, I must add, is through no fault of the author, by any means. 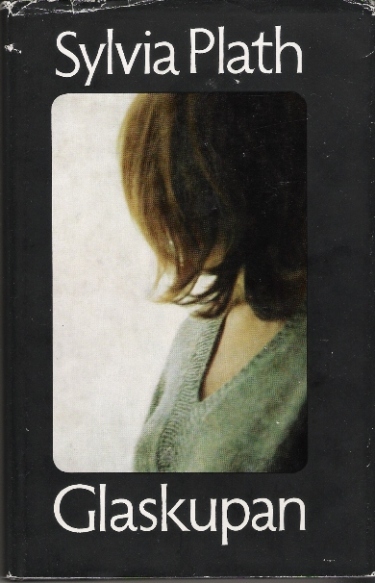 Now, this is not a novel about Plath, but she is infused throughout. As the novel progresses, there is much less of a noticeable or referential reliance on the Plath legend, and this coincides with the story (unlike this review) improving in its readability. Nevertheless, Lady Lazarus is a very good book. Altschul reflects our own times masterfully; his imagery and dialogue are hard and unforgiving, and occasionally gruesome. But as the pages add up, his story-telling, humor, and originality really shine. And, just when things get to serious and/or heavy, to keep you on your toes he has some very memorable, comic characters to keep it real. By the end, everything comes together: the blood, the pain, the poetry, the music, the drugs, the psychoanalysis, the Buddhism, the biography, the violence, the mystery, and the Muse. If you are not brought to your knees by page 492, it is very possibly you, the reader, have no soul or, at a minimum, have no eye or mind for poetry. In this book of rock stars, drugs, suicides and poetry, it is the poetry of the writing lasts. And any one whose last name translates to "Old School" deserves to be read. *A line from the Manic Street Preacher's song "Your love alone is not enough." This song is on their 2007 release Send Away the Tigers and features a duet with The Cardigans' Nina Persson. The Manic Street Preachers are fans of Sylvia Plath, too. Check out their song "Faster" and "The Girl Who Wanted to be God." The Guardian recently ran an article on Frieda Hughes in a series called Pieces of me, which includes a 15 image gallery. The gallery includes comments by Hughes about her parents and her work. Recently found an article by Jessica Lewis Luck entitled: "Exploring the 'Mind of the Hive': Embodied cognition in Sylvia Plath's bee poems". The article appears to be available to anyone (but if it isn't, I apologize). The article appeared in Tulsa Studies in Women's Literature 26.2 (2007) 287-308. Several weeks ago I mentioned an article that ran in the Daily Hampshire Gazette about the Sylvia Plath 75th Year Symposium at Smith College. If you want access to this article, it is available by clicked the Cached option in your Google search (search terms "Plath Smith Daily Hampshire"). Lastly, the website for Plath Profiles is being developed. There are going to be about 30 submissions for the first issue. This includes wonderful essays, many of which were heard at the Sylvia Plath 75th Year Symposium at Oxford, and at Smith College, too. There are some poems inspired by Plath, as well as some works of art. Being the webmaster has its advantages! Please be patient!! Oh, and have a nice week.